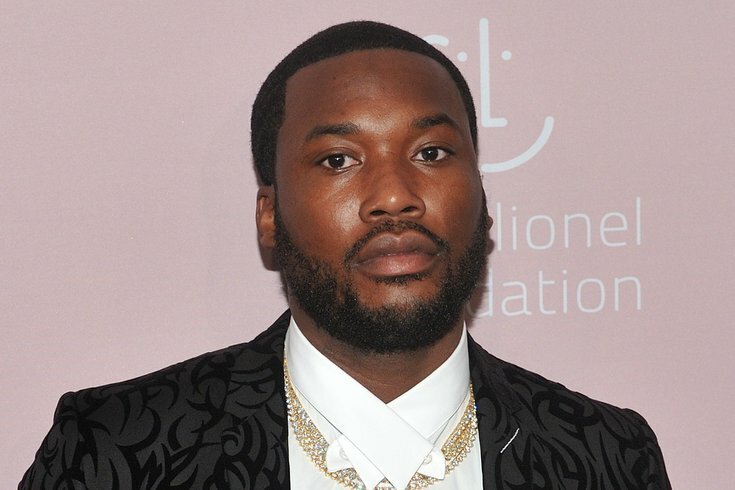 Meek Mill had an especially expensive night out in Los Angeles this past weekend. The Philly rapper was out around 1:30 a.m. on Sunday when his Rolls-Royce Phantom was in an accident with a black SUV UberXL. TMZ got the whole exchange on video. Apparently the Rolls-Royce (which goes for upwards of $450,000) had been inching forward and the SUV had been in reverse when the two slowly collided. Police were called so the drivers could exchange insurance information, but no one was hurt and the damage didn't look shocking. Meek was riding shotgun and eventually got out of the car to check out the damage. He didn't have much to say but didn't look thrilled, either. Oh, and at the end of the TMZ video the Uber driver asks who he just hit. "It's Meek, Meek Mill," the reporter says.